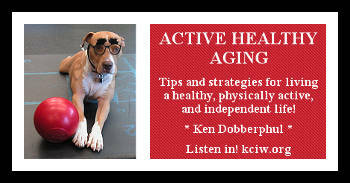 Welcome to Active Healthy Aging, hosted by Coach Ken Dobberpuhl. 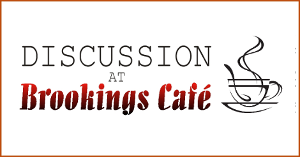 Each week Coach Ken discusses practical health/fitness strategies and topics to help regain, maintain, or improve health, and the movement practices that will support your activities of daily living. In this episode of Active Healthy Aging, coach Ken discusses the concept of mastering body weight movements before adding resistance, some safe and effective squat, push-up, and body row progressions, encouragement for growing some of your own food, how to monitor hydration, and the differences between the two weight lifting sports of Olympic lifting and power lifting. Click HERE for detailed show notes. In this episode of Active Healthy Aging, coach Ken makes a case for stepping away from the gym machines, the simplicity and effectiveness of walking, what it means to be a good gut gardener, sleep as our ultimate regeneration strategy, and choosing healthy habits to improve our quality of life. In this episode of Active Healthy Aging, coach Ken discusses the significance of training movements instead of isolated muscles, the proper movement mechanics of a split squat, how we can improve our relationship with food, and the origin of kettlebells. In this episode, coach Ken explores the concept of multi-planar movement, the foundational movement of hip hinging, how to apply a “growth or decay” approach to your life, the often misunderstood relationship between diet and exercise, a brief overview of foam rolling, and finally the origin of the term gymnasium. 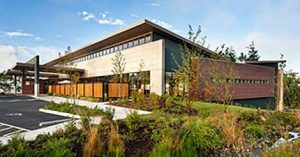 You may not know that Brookings is the largest city in Oregon without a hospital. And that’s why what Curry County Commissioner Sue Gold is proposing might seem strange … she wants to put the brakes on the stand-alone Emergency Room planned for Brookings by the Curry Health Network. 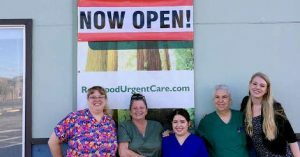 Curry Health operates Curry General Hospital in Gold Beach. In this edition of KCIW Investigates, Lori Gallo-Stoddard Curry County examines the issue, with comments by Commissioner Gold, County Commissioner Chris Paasch, Gold Beach physician and past medical staff president of Curry General Hospital, Dr. Reggie Williams, and Curry Health Network’s Chief Executive Officer Ginny Razo. We do not accept anonymous comments. Please provide your name and email address. In this episode of Active Healthy Aging, coach Ken takes a look at how the body’s prime mover joints are arranged in an alternating pattern of mobility and stability joints, some examples of how to mobilize your mobility joints, a quick foot pampering regeneration strategy, and this episodes fun fact: the origin of medicine balls. In this episode Coach Ken takes a look at the concept of personal fitness. The fundamental movement practice of this episode is walking: how do you define health, the what and why of regeneration strategies. And don’t miss the fitness fun fact of the week: how we got the term dumbbell?